When OnePlus 5T was made official about two weeks ago, the phone only offered on color variant – Midnight Black. On a day that Samsung Galaxy S8 has received a new Burgundy Red color variant in South Korea, the Chinese OEM has also unveiled a new Lava Red color variant and boy it looks stunning! One little problem, though, is that the phone has been unveiled in China, with the company remaining mum on availability details in other markets. According to Android Guys, the new Lava Red OnePlus 5T variant will be limited to the high-end 128GB variant, which also comes with 8GB of RAM. Similar to the Midnight Black color variant, the Lava Red variant will also command a price tag of $559. Of course, the cosmetic change is actually the only difference between the two color variants. As for the rest of the specs, they remain the same throughout. These include a 6-inch QHD AMOLED display screen with Gorilla Glass 5 on top and full HD+ resolution, a Qualcomm Snapdragon 835 processor and a 3300mAh battery unit. In terms of software, the new OnePlus 5T variant sticks to the same Nougat treat based on OxygenOS and for the cameras, the back has a dual 16MP+20MP and a 16MP selfie shooter. 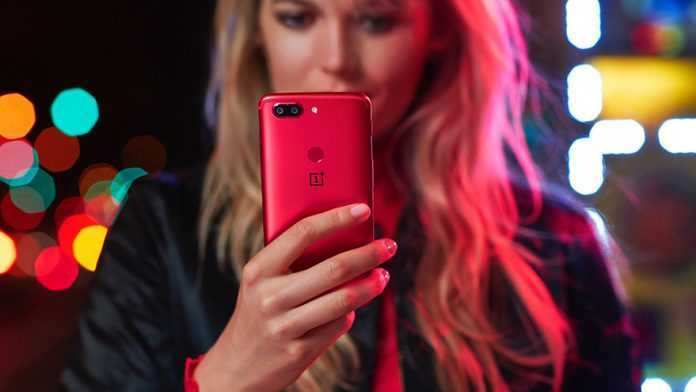 As noted, the availability of this color variant in other markets remains unknown, but knowing OnePlus, don’t be surprised if the variant starts selling across the globe this December – and we know many can’t wait, right?